Published on September 17, 2018 in Events. 0 Comments Tags: Epic Games, event, Let's Make Games, LMG, SAE, Unreal Engine, workshop. Let’s Make Games has teamed up with Epic Games once again to bring you two free workshops on Unreal Engine. Hosted by SAE Institute Perth, the first event is perfect for beginners looking to pick up or learn more about Unreal and the second dives deeper into visual effects techniques for those who already have a bit of Unreal knowledge under their belt. No laptop necessary – just come along, take some notes and hang out with excellent industry folk. This introductory tutorial assumes participants have basic 3D game development understanding, but no prior experience with UE4. You will learn the basics of creating a game from starter content using the UE4 Blueprint visual scripting system. Blueprints are easily leveraged by all game development disciplines, so artists, designers, and programmers are welcome. This tutorial assumes participants have basic previous experience with UE4 and will build upon fundamentals to demonstrate how to develop effects, level tools and enhance their existing projects. These effects will be developed using Blueprints which are easily leveraged by all game development disciplines, so artists, designers, and programmers are welcome. 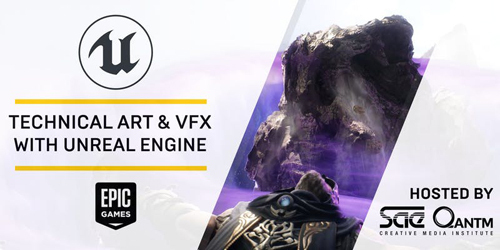 For more information, visit the event pages for Getting Started with Unreal and Technical Art & VFX with Unreal Engine. We hope to see you there! Published on January 17, 2018 in Events. 0 Comments Tags: events, game jam, GGJ, global game jam, Let's Make Games, SAE, SAE Institute Perth. 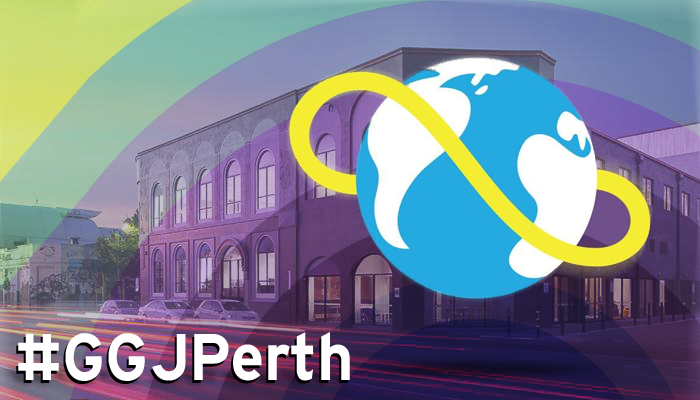 Signup to the 2018 Global Game Jam site in Northbridge, to join us for a full weekend of making games! No experience necessary, and you can work with folks you know or team up with new friends. Brought to you by Let’s Make Games and SAE Institute Perth! What kind of game can you make in 48 hours (give or take) of crafting, creating, testing and enjoying game development with like minded colleagues and friends? Come join us and find out! Either grab a team of people you know, or make some new friends on the day; listen to the opening keynote, note the theme and get to work! You’ll have until Sunday afternoon to create one or more games surrounding the theme. All rules are off (unless you like rules) and you can create anything from tabletop, analog, experimental, physical, AR and of course video game wise. Your imagination and sleep are the only restrictions! When: From 3pm Friday January 26, through to 7pm Sunday January 28. Cost: $15 a ticket to help cover costs. Signup: Get started at the Global Game Jam Website. The Let's Make Games archives for the sae tag.